Microsoft has released Offline Virtual Machine Servicing 2.1 to support Windows Server 2008 R2 and VMM 2008 R2. This tool allow you to update offline virtual machine in your VMM Library. c) Active Directory Domain Services and DNS. All servers and virtual machines must be domain joined. Now let into how this stuff work! 1. 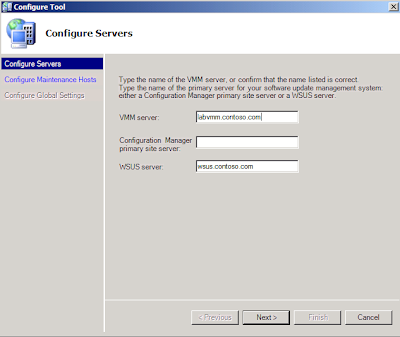 Install Offline Virtual Machine Servicing Tool on the same server as VMM administrator console. 2. Set Windows Powershell execution policy on the VMM to remotesigned. By default, it is set to "Restricted". Change to remotesigned by typing this command "set-executionpolicy remotesigned"
3. Download PSExec from http://technet.microsoft.com/en-us/sysinternals/bb897553.aspx . Put the files into \Microsoft Offline Virtual Machine Servicing Tool\Bin folder. Unblock the Psexec and pdh.dll files by right click,select Properties and Click Unblock. 5. Maintenance host groups created. d) Incoming Echo Request for ICMP v4/v6. 1. Approved an update and update has downloaded. Once all the above requirement has set, you can start to configure Offline Virtual Machine Servicing Tool. 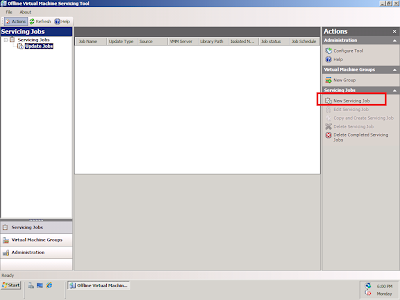 1.Click on Configure Tool on Action pane. 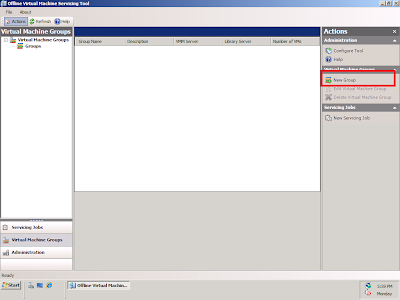 2.Enter VMM Server computer name and WSUS server/ SCCM Server computer name. Make sure the VMM, SCCM or WSUS server is online. 3. 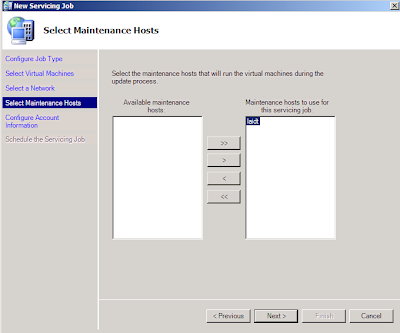 Select maintenance host server that available for servicing job. 4. Enter the time-out limit for moving a virtual machine and updating a virtual machine in minutes. Specify enough time for the VM to perform updating. This process is optional. But it is recommended when you have a group of Virtual machine that you would like to patch. 1. 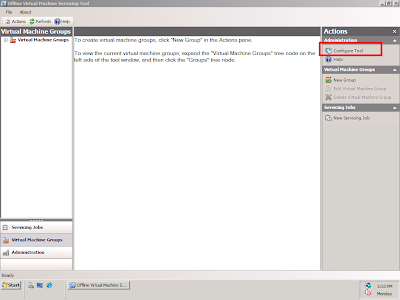 Click on Virtual Machine Group and select New Group. 2. 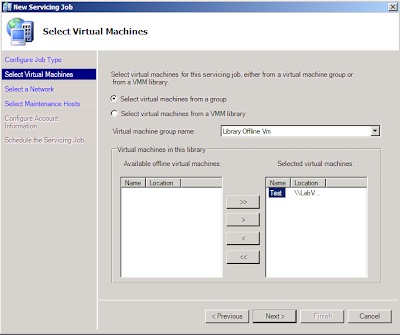 Enter Virtual machine group name and select your offline Virtual machine which stored in VMM Library. Servicing jobs perform the actual work of updating virtual machine. You need to setup new servicing jobs each time you would like to keep your virtual machine compliant. 2. 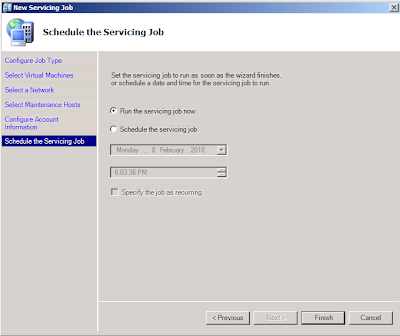 Enter the servicing jobs name and select software update management system. 4.Select Network that you would like Servicing jobs to use. For better security, "Use an isolated virtual LAN". 5. 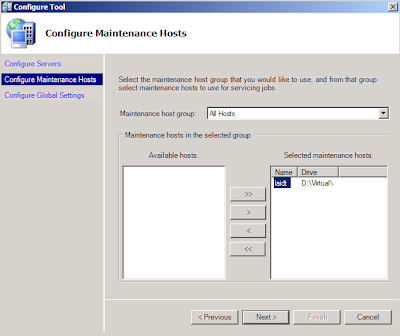 Select Maintenance hosts that you would like to use for Servicing Jobs. 6. Enter an account with administrative permission for Virtual machine, VMM Server and software update management server. 7. You can run the servicing job immediately or schedule the servicing jobs. 8. Click Finish to complete the servicing jobs. 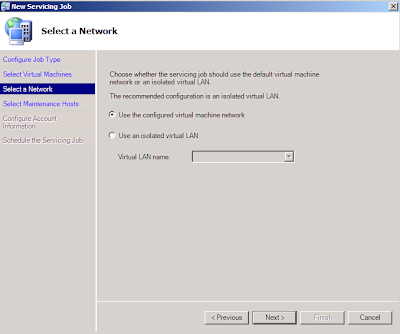 When Servicing Jobs is running, virtual machine in VMM Library is deploy to maintenance hosts and start it. Software update is trigger and update process is running from software update management server to virtual machine. After the update is complete, the updated virtual machine is shut down and return its to the VMM Library. Menzer giraffslip is a amazing tools and we are using this tools is many machinery work like that in any manufacturer company . this blog is share great information about machine tools .